British Tars, 1740-1790: Fast Forward to 1812! 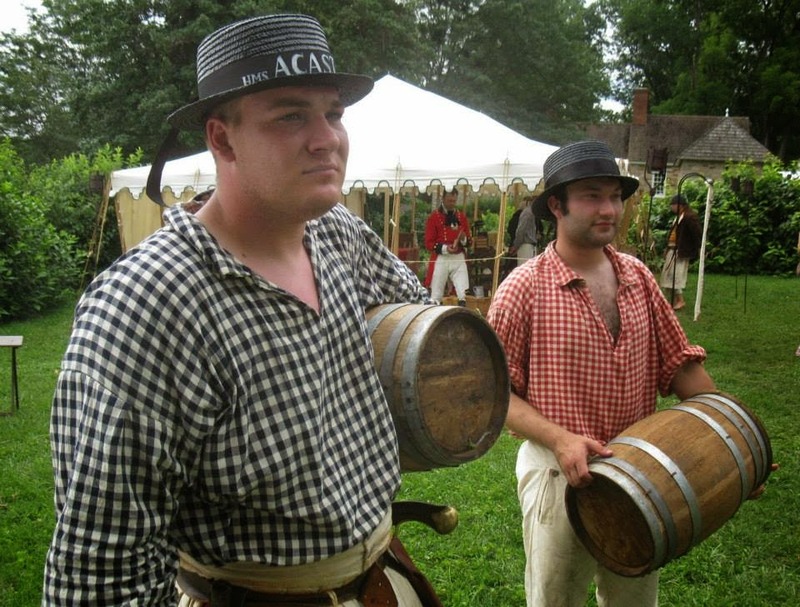 Press Gang Week may be over, but if you're in the neighborhood of Springfield, Ohio today, head on over to the Fair at New Boston, and catch our comrades over at the HMS Acasta as they press unwary fellows into the Royal Navy! Don't worry if you can't make it to Ohio. The city of Alexandria, Virginia is offering an entirely different affair to commemorate the seizing of the town after the British put Washington to the torch: The War of 1812 Signature Event Weekend. I'll be on hand tomorrow in 1810's slop clothes along with navigational instruments to give a bit of instruction to any who would hear it. Swing by and say ahoy!